Infinity Drumworks provides innovative drum shell construction to our customers. Our team works with drummers to create the desired sound, look and style for each customer. All drums made by Infinity Drumworks go through our Organic Cure Process™. This is unique to Infinity Drumworks. Most other drum companies heat their drums, the process of heating bakes the glue and chemicals into the wood. We feel that this changes the tone and sound of the drum. Baking the drum also adds extra weight to the drum. 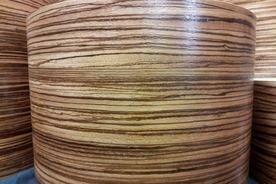 Infinity Drumworks is also committed to using certified wood and low VOC glue. The Organic Cure Process™ allows us to achieve our goals of making a quality product that is not at the expense of future generations. 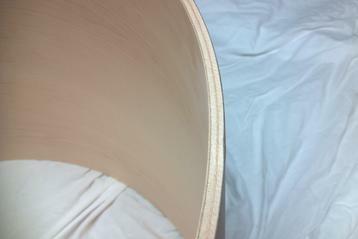 This maple shell is very familiar in the drum industry. 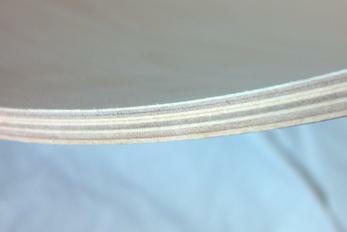 The Infinity American Standard is the same ply thickness as the industry standard. This is the type of shell the majority of other drum companies use. Have you played all the drums you could find, yet not found "that sound", the one that really speaks for you? You owe it to yourself to Infinity Drumworks® Vintage Mahogany shell. This shell is an original shell made exclusively for our customers. The core of the shell is 2 pieces of 1/10th" mahogany sandwiched in between your choice of an inner and outer plies of any wood species. This allows you to tailor the tone to your specific needs. These shells are incredibly warm and responsive, while remaining versatile enough for use in any genres of music. We are able to get most hardware options that found on custom drums. We will work with you and your budget to determine what hardware best fits your needs. We can also work with custom manufacturers to create unique hardware just for you!